If you need a Slip and Fall Attorney in Margate with experience, Robert E. Gluck is the attorney for you. 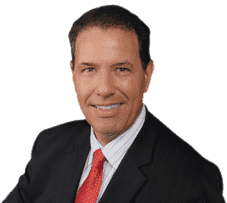 Robert E. Gluck became an attorney in 1989, and he has since then represented clients in South Florida with all types of slip and fall cases. Robert E. Gluck is one of the best personal injury attorneys in South Florida. He can represent you if you have been injured from falling on a wet or uneven floor, or from a damaged product, or while on someone else's property. A slip and fall incident or accident can happen anywhere, like a mall, the supermarket, a school, or a bank. Contact Robert E. Gluck today to schedule your free consultation. Your slip and fall attorney in Margate Robert E. Gluck, can only file a slip and fall claim if negligence can be proved. Negligence happens as a result of an individual not following a proper standard of care that causes someone else to get hurt. If the other party is charged with negligence they will be responsible for paying your medical bills. Robert E. Gluck will help you recover damages once your injuries can be verified. Call Robert E. Gluck today, do not wait and risk your case! Your Slip and Fall Attorney for Margate, Robert E. Gluck will provide you with the highest level of legal representation possible. Studies show that when an injured person is legally represented there is a better chance of receiving a settlement. Robert E. Gluck will fight hard for your settlement. He will do his best to get you a settlement you are entitled to. Don't risk it with an inexperienced attorney, hire right and you will be increasing your chances of winning! Robert E. Gluck will be respectful and kind, and will protect your legal rights. You will feel more confident and less stressed with the emotional support and legal guidance that Robert E. Gluck will give you. With your Slip and Fall Attorney for Margate gathering all the evidence for your case, you will feel more confident from the start. Robert E. Gluck will speak to witnesses and write down their witness statements, he will take pictures of the accident scene, and he will obtain video footage. He will examine the property for damages and will put together all of the evidence he can find to build you a powerful case. Once all this is completed, Robert E. Gluck can pursue your case aggressively. Call Robert E. Gluck immediately to schedule an appointment to speak to him, do not wait!